Royal is Perma-Door's premium insulated steel entry door system. Royal Doors are specialty designed to give you the strength, security, and durability of steel and the energy efficiency of a fully insulated door - all in one handsome package. All Royal Door models may be used in "double door" systems, with inward and outward swing and with left-or right-handed hinging. Steel... For Strength, Security and Durability. 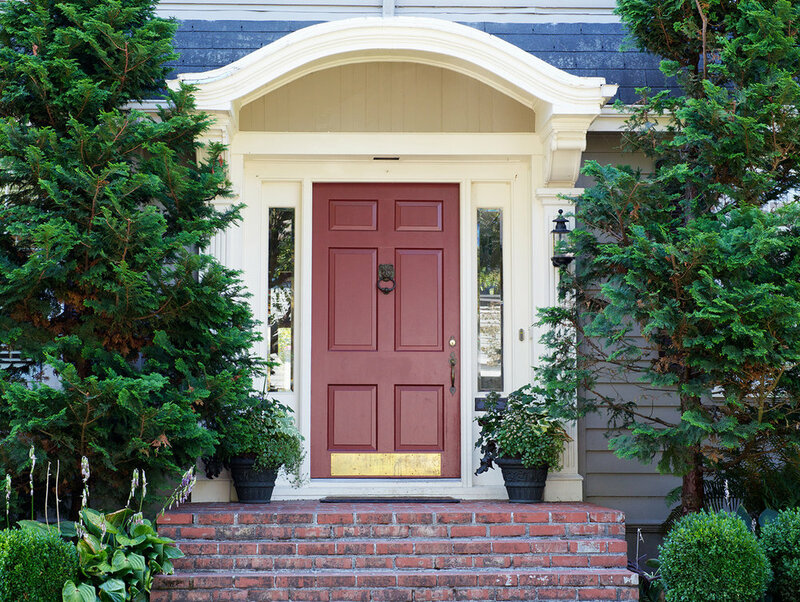 Every Perma-Door Royal Door is constructed with 24-gauge hot-dipped galvanized inner and outer steel face sheets, and energy-saving core of polyurethane foam, an all-steel edge perimeter, and a composite lock block. It won't crack, warp, twist or rot. And all Royal Doors come fully equipped with Perma-Door's Unique adjustable hinge plate system. Strength, security and durablility are built into every Perma-Door Royal Door to give you years of trouble-free service. All Perma-Door decorative glasslites are hand assembled by craftsmen. The process of manufacturing the art glass used in each glasslite creates random patterns which ensure that each glasslite is unique. Wavy textures, tiny bubbles, and other natural effects all reflect light differently, creating an elegant entryway. The result is a quality finished work of art.